Petty's been kidnapped! Josh and Danny have already broken into her secret lab looking for her, and now they're going to brave all her anti-intruder traps and break into her house. There's no sign of Petty, but there is a very interesting little box . . . containing the best SWITCH spray ever. 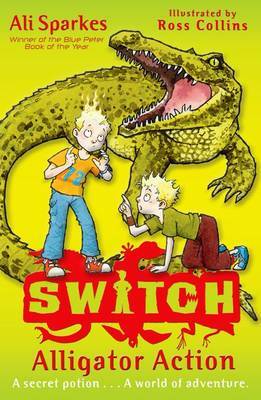 Unable to resist the temptation, the twins head to the park to try out alligatorSWITCH spray. But before they make it to the river, they're roped into being in the audience of a touring chat show, with some VERY interesting guests . . .